If you’re serious about your migration plans, then it’s important to keep a tab on specific changes that occur within each Provincial Nominee Program 2019. Since many of you might have already gotten started on your research process for the same, it might be easy to overlook changes that occurred between last year (2018) and this year. However, overlooking minute details might end up leading to big consequence. 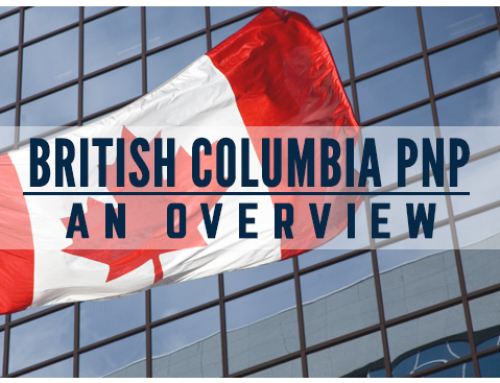 To help you avoid such overlooks, I have compiled a list of prominent changes in the popular Provincial Nominee Programs of Canada between 2018 and 2019. During the year 2018, Ontario issued a Notification of Interest for the candidates who is having French Language (CLB7) as the 1st language and also for the candidates who has a Job offer in Ontario and in the month of September, they came up with a new protocol that there is no minimum CRS criterion for Ontario and it will be decided by the Director of the OINP. On Aug 8th 2018, NSNP has issued a Notification of Interests irrespective of the CRS score for the candidates under Labour Market Priorities Stream whose occupations are in the profession of Early Childhood Educators having an Occupation code 4214. During the year 2018, SINP has switched to open registrations for everyone and started sending the Notifications based on the total Eligibility points unlike the previous scenario such as opening and closing in every quarter allowing the candidates to create a profile and it would be selected based on first come first serve. They had opened their own Express Entry, allowing the candidates to create their profile and submit the Application but the profile who have a connection in PEI, work experience in PEI, Job offer in PEI. Relatives in PEI will be given a priority. On Jan 14th, Ontario silently issued a notification to the candidates whose scores are in the range of 439-448 inviting 1493 applications having 1 year continuous work experience in the past 5 years under Human Capital stream aligned with Express Entry without a Job offer of Canada. On Jan 24th 2019th, NSNP has issued a Notification of Interest with a score of 400-450 under Labour Market Priorities Stream for the candidates whose occupations are in 1111 (Financial Accountants and Auditors) having at least 5 year of experience in the past 10 years. Settlement funds in the year have slightly got increased by 100-120 CAD. Sponsorship for the Parents and Grandparents PR visa program opened in the month of January 2019 and got closed in 10 minutes. IRCC announced that until they reach a quota of 20,000 applications, they keep opening in the year 2019. If you would like to assess your chances for any of the above mentioned routes towards a Canada PR, be sure to fill in your details and one of our experts will be in touch with your shortly with exactly the kind of assistance/information you require. If you would like to receive regular updates regarding any Provincial Nominee Program 2019, or the Canadian Express Entry Immigration system in general, stay tuned to SmartMove2Canada (a unit of Smart Move Immigration) for all the happenings in the Canadian Immigration sphere. If you are ready to begin your journey towards a permanent residence in Canada, then book a consultation with one of our experts today! Our offices are located in Mumbai, Delhi, Bangalore, Chandigarh and London. However, our team is capable of connecting with you anywhere in the world telephonically or through web means.